When age is just a number! 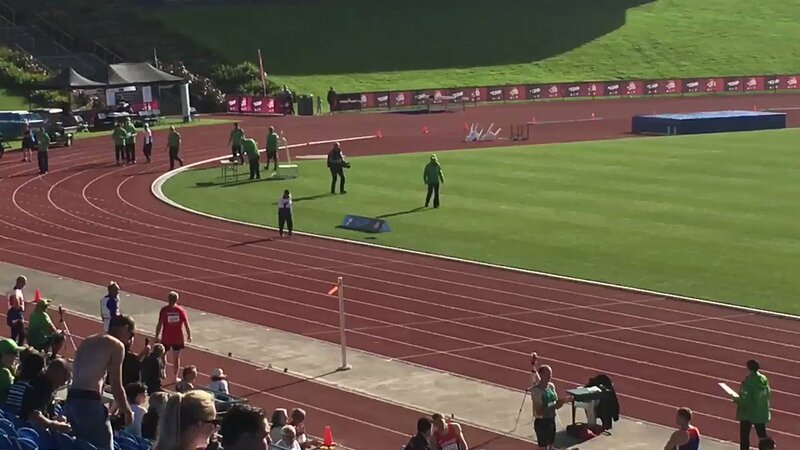 101-year-old Man Kaur from India celebrates after competing in the 100m sprint in the 100+ age category at the World Masters Games at Trusts Arena in Auckland. 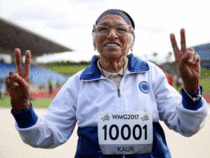 AUCKLAND: With a jaunty victory dance, 101- year-old Man Kaur celebrated winning the 100 metres sprint at the World Masters Games in Auckland on Monday, the 17th gold medal in the Indian athlete’s remarkable late-blooming career. Kaur clocked one minute 14 seconds as a small crowd cheered her on — ending a mere 64.42 seconds off Usain Bolt‘s 100m world record set in 2009. 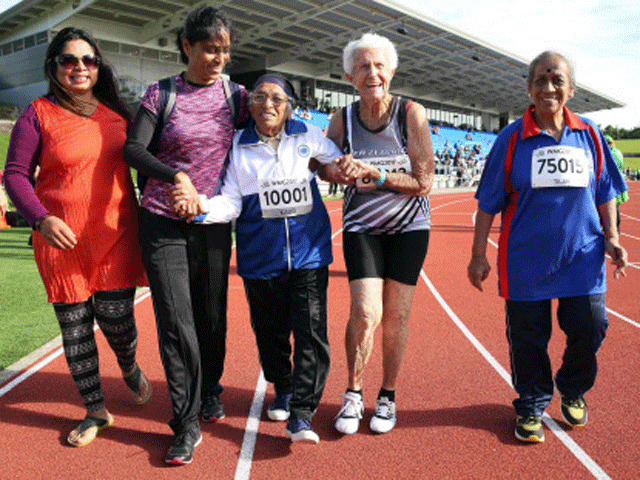 The oldest athlete should be congratulated for the achievement even after crossing hundred years.